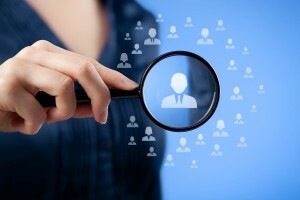 Talent acquisition is more than just candidate sourcing and applicants. If you do not have a referral system in place at your business, now is the time to look into creating and implementing your own system. Even the largest and best known companies struggle with getting good candidate referrals at times and when creating your referral system, there are several things you should consider. The first step to attracting candidate referrals is to make it known that you have an opening and that you are accepting referrals. Let your current employees know that you are hiring. Some of the best referrals will come from your existing employees. It is well known that people tend to know like-minded people. Wouldn’t it be great to receive candidate recommendations from your top performers? In order for this to happen, you must take the first step by letting them know you are accepting referrals. One thing that many companies do is to offer rewards to their employees when they refer candidates. It never hurts to dangle a small carrot when it comes to the referral game. I have seen companies offer small rewards in the form of gift cards as well as pricier rewards such as large electronics. Get creative with your referral rewards. There is no set reward system or method for implementing this. Perhaps conduct an office poll to find out what your employees would get excited about and take it from there. As with anything, if something is too difficult, many people will simply give up. It is important that you make sure that your referral submittal process is quick and painless. Is it easy for your employees to submit a referral to you, or do you require them to fill out tedious questionnaires about their referral? Keep your process quick and easy and you will likely receive more referrals. Did you know that one of the best ways to get referrals is by checking references? Each time you speak with a candidate’s reference, do your best to develop a relationship with that reference. Ask them questions about their company, what they do, and share some information about your company. Find a common ground with the reference and let them know of any additional positions you will be hiring for in the future. They just might know of someone who would be a great fit for your company, but they are unable to hire themselves. On the other hand, the reference could be interested in working for your company! What have you done in the past to attract candidate referrals? Please share your tips in the comments below.